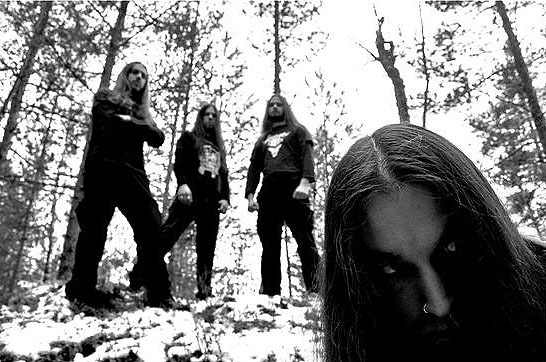 We caught up with the guitarist to find out some more information about this cold black metal band. 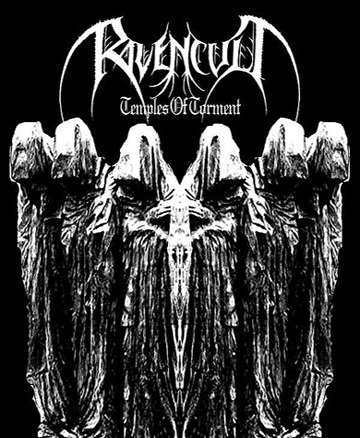 They come from the land of Greece which has a truly legendary tradition in the early and middle '90s of great distinctive black metal from the greats like Necromantia, early Rotting Christ, Varathron, Zemial, Nergal, Kawir.., Thou Art Lord and more... Behold this new Greek cult keeping the old flame burning! Hails Stefanos! Please introduce yourself to the readers. When did you first discover metal? Who were some of the first bands that caught your attention? Who are some of your "current" favorite bands? I got in touch with heavy metal at a very young age, it was ’89 when my brother brought Iron Maiden “Killers” LP at home and I immediately got crazy for it. I remember putting a small sticker on side B to remember it was “Purgatory” track in there. Then it was “No Sleep At All” Motorhead LP, “…And Justice For All” LP and so on. Current favorite bands vary from Motorhead and Slayer to Bathory, Celtic Frost and Black Metal in general. Too many bands to mention. When did the members of Ravencult first meet? Was it long until you formed the band? What is the "current" line-up? 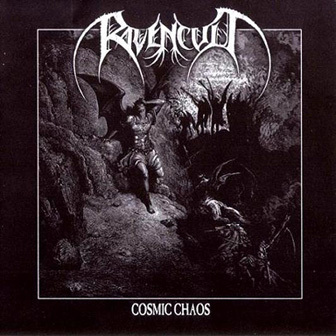 For the readers how would you describe Ravencult's music? I met with the first lineup around 2000 and formed the band in 2001 when we actually did the first demo. I’m the only one left from the first formation. Today it’s L/vocals, S/bass, J/drums and me on guitars. Our sound is primitive Black Metal mixing first and second generation influences. 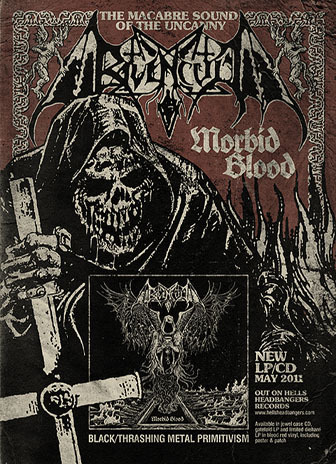 The band recently released it's second cd "morbid blood". How long did it take the band to write and record the songs for this release? Are you happy with how everything turned out? It took about a year and a half to compose and a few days to record. Then we spent some time mixing and mastering, also getting a new contract kept us waiting for a while. We’re satisfied both from the way “Morbid Blood” came out and our co-operation with Hells Headbangers Rec. Does the band have any upcoming shows/tours in support of "morbid blood" or do you prefer to work in the studio only? We plan live shows and touring starting from September. 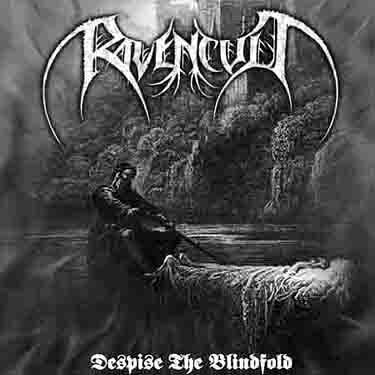 RAVENCULT is a live act and we’ve toured in the past so no, we’re not a studio band. Who are some bands you have played with in the past? If you could set-up a "dream" show/tour who are some bands you would love to play with? We’ve shared the stage with many respected artists like Varathron, Mayhem, Carpathian Forest, Zemial, Behemoth, Aura Noir, Rotting Christ, Arcturus, Watain, Impiety, Satyricon, Inquisition… We did a European tour with Setherial and Corpus Christii in 2007 and a mini 7 dates summer tour with Krisiun/Rotting Christ in 2008. Plus single gigs, festivals etc. A dream show would be if that rumored 1986 Celtic Frost/Bathory tour ever occurred and we opened for the gods of Black Metal. Also a gig with Venom would rule. How often does the band get to practice and work on new songs? How long does it usually take you all to complete a song? Does the whole band work on the music together or does 1-2 members handle it all? It depends… These things don’t happen by strictly planning them, it just goes with the flow. When there is new material to work on or live appearances ahead we do full time rehearsing. Anyway this line up is stronger than ever and we are very well prepared, so we keep warm by regularly practicing a couple of times a week. The band comes out of Greece's legendary underground scene. What is your opinion of the metal-underground in your country? It’s like everywhere, good bands and crap bands, dedicated people and ignorant people. Greece has an excellent tradition in the underground, mostly because of the ’88-’95 era with all the cult bands like Necromantia, Varathron, RC, Zemial, Thou Art Lord and so on. There’s a new generation of bands after 2000 with skills and knowledge, that’s good. If there’s any hope for our metal cult, it lies in the UG bands and I’m talking worldwide. The underground abyss is the only place that is not yet totally corrupt so great albums can come out. It’s our only strike against the commercial rats. Who are some of your all-time favorite Greek metal bands? Are their any new bands you think the readers should check out? 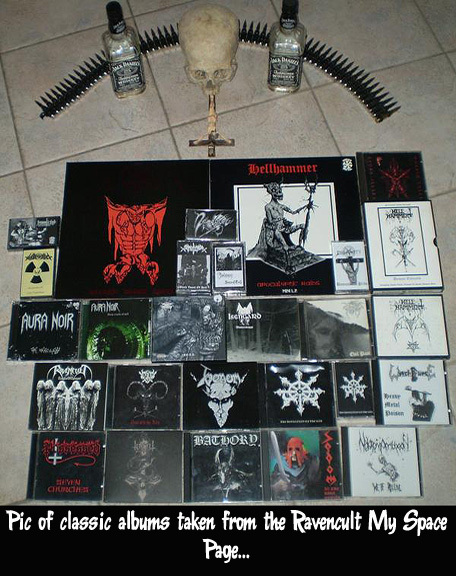 Favorites are Zemial, Rotting Christ up to 1994 and Necromantia until “Scarlet Evil…” album. Newer bands I like are Revenge (Gre), Abyssgale, Omega, Nocternity, Goatvomit, Dead Congregation, Nadiwrath, Dodsferd, Nocturnal Vomit and some grind/death like Progress Of Inhumanity, Vulnus, Inveracity etc. What does the term "underground metal" mean to you? It means Darkness, Devotion and Idealism. In its purest form, it is the type of metal that obeys no industry rules and keeps it REAL. You don’t need the ‘big’ bands if you’re into the underground, there are so many great releases every year. At least there is artistic freedom and honesty in most cases. Of course you get a lot of crap but that’s how it works in every scene right? Quantity over quality. However, it is the last fortress that keeps the banners of primitivism high, something that modern metal tries to eliminate. You handle guitars for the band. When did you first start playing the guitars? Are you self-taught or have you had lessons in the past? I started playing at the age of 12. I’m self taught so I never cared to “study” and probably never will. My first steps were on a black BC RICH Warlock guitar, which was a must for every metal maniac to obtain and start with! Who are some of your influences/favorite guitarist? Do you play any other instruments? I never was impressed by “good” guitarists or virtuosos. It’s BORING. I prefer riff-makers. Some of my favorites are Quorthon, Warrior, King/Hannemann, Ferniz & Nocturno Culto, Varg VIkernes, Snorre from Thorns, Euronymous and dozens more. From the OLD guard I worship Fast Eddie and Angus Young. I occasionally play the bass just for fun, I did some gigs helping Rotting Christ for a mini tour last year but that’s it. Well Stefanos we have reached the end of the interview. Thank you for taking the time to fill this interview out. Do you have any final comments for the readers? We appreciate the support Patrick. Check out our new LP if you’re into ancient Black/Thrash morbidity. 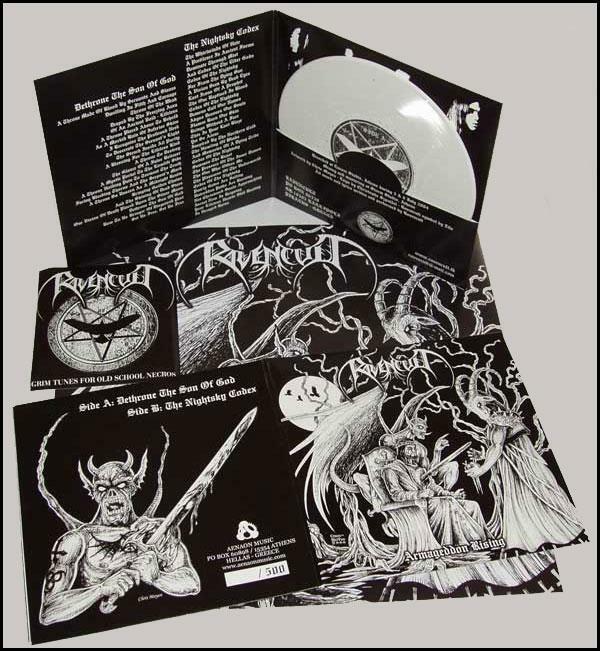 Coming next in 2011, a split 7”EP with OMEGA (Gre) through Evil Spell/Undercover Rec, and the “Temple Of Morbidity” MC (reh+unreleased tracks) on Mayhemic Slaughter Rec. THE PRIMITIVE SOUND RETURNS. Write to: RAVENCULT, PO BOX 3747, ATHENS 10210, GREECE.